War has consumed Afghanistan for the past 17 years, so it’s unsurprising that the country ranks 152 out of 153 on the Women, Peace, and Security Index. The Index reports that the average schooling for women lags at a regional low of four years, while legal discrimination within the court system is the second highest with a score of 45 out of 84 (0 being the best). A new report from the Brookings Institution identifies Afghanistan as one of 31 countries that are least likely to achieve the most urgent objectives of the UN Sustainable Development Goals (SDGs) such as ending extreme poverty, achieving food security, and ensuring quality education to all by 2030. It’s also no coincidence that Afghanistan is also included on the World Bank’s List of Fragile States. Leading up to International Women’s Day, the Brookings Institution partnered with the Georgetown Institute for Women, Peace, and Security and the U.S.-Afghan Women’s Council to host a panel on “The New Generation of Afghan Women Leaders,” featuring several members of a delegation from the Afghan government. Five women, each of whom serves in critical roles as government ministers, advisors, and commissioners, spoke on themes of governance and progress in an increasingly volatile political climate. Despite the troubling statistics detailing the breadth of inequality in Afghanistan, the five Afghan officials asserted that numbers on paper do not accurately portray the changes occurring on the ground in their home country. Prior to serving their government, each woman made a conscious decision to return from abroad to Afghanistan – in the midst of war – and all are hopeful and encouraged by the progress they have since witnessed. Each panel member expressed the same sentiment. They were back in Kabul to be a representative voice at the table and affect real change across their country. Despite the recent surge in violence by Taliban rebels, the Afghan government has been able to implement incremental change toward a stable and strong government. 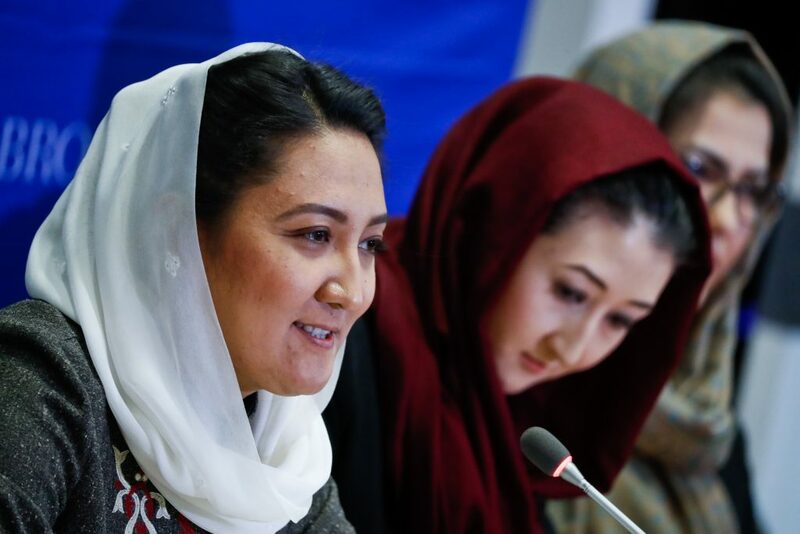 Naheed Sarabi, the Deputy Minister for Policy for the Afghan Ministry of Policy, has worked with her team to develop the National Peace and Development Framework, an impressive accomplishment considering no national development strategy existed before 2016. Their goal is to achieve self-reliance and fiscal discipline and reduce poverty through an increase of infrastructure, human capital, and rule of law. 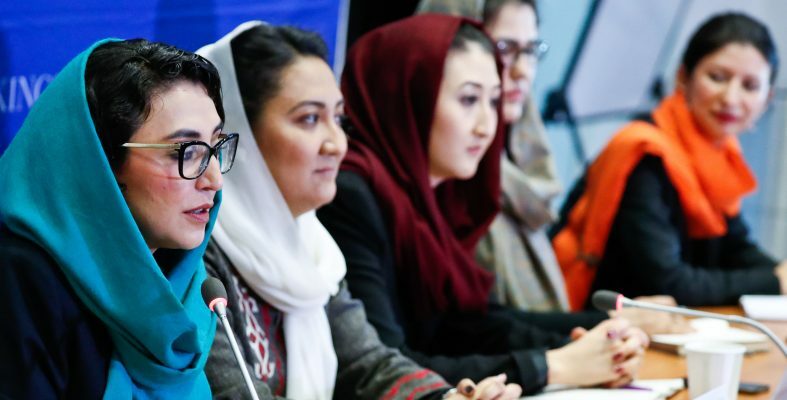 Sarabi’s recent work involved ensuring the prioritization of critically-needed services and transparency were integrated into the budget process and in 2017 Afghanistan was given an Open Budget Score of 49, the second highest in the region. Although Afghanistan has an overwhelming amount of work to complete to reach any SDG, these changes demonstrate to the world that its government is committed to achieving the UN’s standard for SDG 16: Peace, Justice, and Strong Institutions. She is hoping for this process to one day lead to “self-sufficient village communities” and the perception of a government that provides fair services and offers justice to those it fails. The panel’s assurance that the country’s attitude towards women is shifting is underscored by the number of women serving in Parliament. Twenty-eight percent of Parliament’s seats go to women – nine points higher than the United States’ 19 percent. Pressing for progress on SDG 5 – Gender Equality – the panel members are fighting for women’s expertise to be viewed as sound and valuable. “The women on this panel are a great testimony of the women in Afghanistan,” Yourish declared. 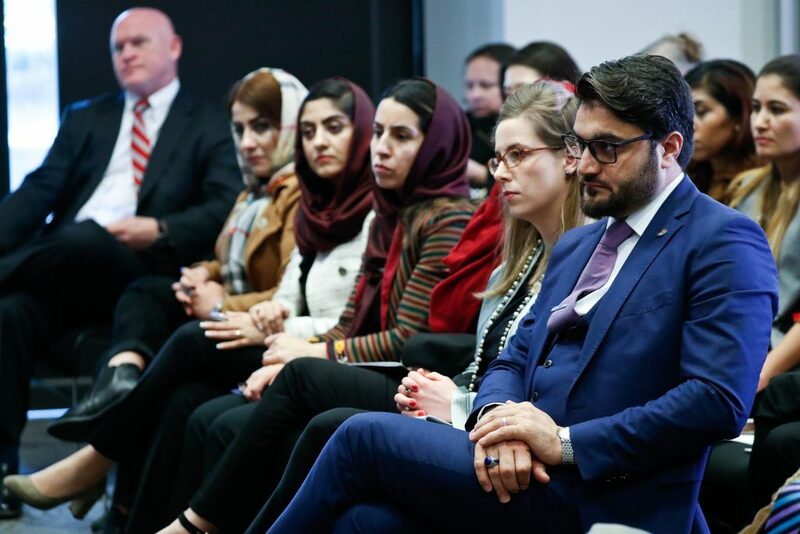 None of the women on the panel failed to recognize the extreme challenges facing their country, but all are working to build a new Afghanistan – one where both men and women can grow, work, and succeed.